It's that time of year again...back to school time and Master Lock® has engineered a new and exiting way for students to navigate the school year by hiring a new specialist on student life. 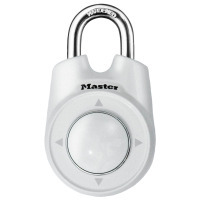 The Master Mind, a cool and witty college grad, that is staring in a new humorous online video series during which he, along with his trusty side kick Little Sister, are answering frequently unanswered questions from perplexed students’ on www.facebook.com/masterlock. As a former student and parent, the best piece of advice I can offer to students and parents hoping to surving the upcoming school year is to communicate and be upfront with each other. Parents need to listen and children need to share what's really going on however is more comfortable for you. Talk, text, pantomime if you can't get the words out verbally but get the message across somehow that's the only things can change...big or small. I am entering a contest for a Master Lock back-to-school prize pack as a member of the Mom Bloggers Club. What are your favorite quotes of all time?